The battle was prompted by Did he say Jump [JMP-N] after it reinforced a Raitaru engineering complex belonging to Ushra’Khan [UNITY]. The two alliances prepared to fight, calling in allies as they formed up their fleets. Did he say Jump organized an estimated 50 pilot Machariel battleship fleet supported by Apostle force auxiliaries and reinforced by a 55 pilot Nightmare battleship fleet fielded by Shadow Cartel [SHDWC]. Against this, Ushra’Khan managed to form a 50 pilot mixed armor battleship fleet with two force auxiliaries held in reserve in the system. They were aided by a WAFFLES. [N0MAD] 60 pilot Machariel fleet. Ushra’Khan had set up its fleet on the reinforced Raitaru, waiting for the enemy and their reinforcements to arrive. The first to arrive in the system was Shadow Cartel, who warped to the structure, landing at range of the battleships and opening fire. The battle started badly for the defenders. The Nightmares, built to kite, fired at the heavily armored battleships, who had set up for a brawl and were far slower in comparison. The Ushra’Khan fleet tried to return fire, but found the Nightmares darting out of their optimal range. Concentrated beams of light shot into the ranks of the Ushra’Khan battleships, dissecting ships with each volley. In a few minutes, the Nightmare fleet was able to destroy a fifth of Ushra’Khan forces, without a single loss. However, things quickly changed when WAFFLES arrived in the system. The WAFFLES fleet managed to probe down the Nightmares, warping themselves on top of the nimble battleships. The Machariel battleships exited warp, engaged their afterburners and opened fire on the Nightmare fleet. Artillery cannons blazed to life as hundreds of shells were propelled at the Nightmare fleet. In a minute, Nightmare battleships exploded as the fire barrage overwhelmed their shields, the shells tearing through the collapsing fields and striking at the unprotected hull beneath them. The Nightmare fleet quickly started burning away from the hostile battleships, returning fire and managing to destroy a few support ships, while the WAFFLES fleet kept hammering at it, targeting its logistics wing. Within moments, the far weaker Basilisk logistics cruisers were annihilated, the storm of shells claiming many. This severely crippled the Shadow Cartel fleet, as its logistics wing had lost more than half its numbers. At the same time, seizing the opportunity, the Ushra’Khan fleet warped out to the station in the system, re-grouping and bringing out its force auxiliaries, before making its way back to the fight. Yet, as it came back and landed on the grid, it was soon joined by Did he say Jump, who also joined the fight. The Did he say Jump Machariels, equipped with autocannons, started to tear into the Ushra’Khan fleet, aided by the Nightmare fleet. Ushra’Khan could not hold against the firepower of both fleets, especially as the highly mobile battle had dragged its fleet outside the optimal range of the force auxiliaries’ remote armor repairers. WAFFLES were not idle either and targeted the new arrivals, with all four fleets positioning on grid as they exchanged heavy fire. The fighting went back and forth, both sides trading losses. Battleships succumbed to the unrelenting fire, exploding in bright flashes which illuminated the grid momentarily, alongside the flashes of artillery barrels, autocannon muzzles and the beams of light produced by nearly 200 tachyon beam laser batteries. As the battle raged on, a fifth fleet joined the fray, belonging to Mercenary Coalition [MC]. The alliance had knowledge of the timer, but had formed for another purpose. However, with the initial reason of its form up gone, it decided to go to Bosboger in order to join the battle. That said, the alliance had only hoped to engage Did he say Jump, as it had good standings towards both WAFFLES and Shadow Cartel. The Mercenary Coalition fleet, a 60 pilot Machariel fleet that was also equipped with artillery cannons joined the fray, landing on the grid and opening fire. The Mercenary Coalition fleet split its attention between the Did he say Jump and Ushra’Khan fleets. The Mercenary Coalition Machariels coordinated artillery strikes, overwhelming opposing battleships with their firepower. By then, the two sides had already suffered serious losses, their logistics wings unable to hold against the firepower thrown their way. Thus, Did he say Jump and WAFFLES were forced to escalate matters, bringing in force auxiliaries in order to try and stabilize. Alas, this proved to be impossible for Did he say Jump , as the WAFFLES and Mercenary Coalition fleets tore into it, their artillery strikes managing to volley their targets. At the same time, Ushra’Khan warped its fleet out again, docking its force auxiliaries while returning to the field a third time to continue and contribute to the defense of the Raitaru. However, the Ushra’Khan battleships proved to be a tempting target for Mercenary Coalition, who opened fire on them. Suffering heavy losses and with the Raitaru exiting its reinforcement mode, repairing and securing itself once more, the Ushra’Khan fleet decided to withdraw, warping the few remaining ships out of the battle and docking up in the station, leaving the other four fleets to continue the battle. With the objective lost, and having to contend with both Mercenary Coalition and WAFFLES, not to mention unable to tank the incoming damage, Did he say Jump chose to withdraw. Its battleships warped off, leaving the force auxiliaries on the field for the two fleets to destroy. Shadow Cartel followed suit, having lost a fair number of ships, and not wishing to tackle the WAFFLES fleet alone. That left WAFFLES and Mercenary Coalition in control of the field. The two fleets coordinated their attack, bombarding the stranded Apostle force auxiliaries and bringing them down one after the other. With the field secured and the battle won, the two alliances departed as well, bringing the fight to an end. Battle report for the Bosboger system can be found here. All told the battle lasted 37 minutes with Time Dilation peaking at times, reaching a height of 70% at one point but quickly subsiding. The system itself hosted 300 pilots at one point in the fighting. The defenders lost 60 ships in the engagement, including 33 battleships for a total of 19.5 billion ISK damage. 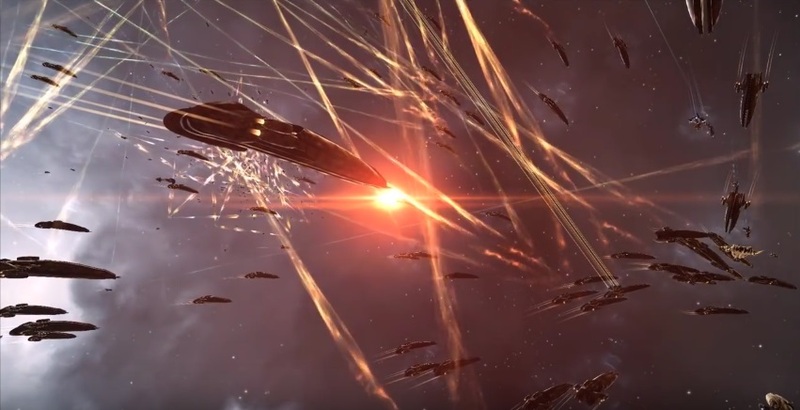 The attackers lost 35 ships in comparison, including 2 force auxiliaries and 17 battleships for a sum total of 19.65 billion ISK damage. Mercenary Coalition had incurred no losses in the battle. Hiya, I’m really glad I have found this info. Nowadays bloggers publish only about gossip and internet stuff and this is really irritating. A good site with interesting content, this is what I need. Thanks for making this web site, and I’ll be visiting again. Do you do newsletters by email? Hi there. I discovered your blog by way of Google even as looking for a similar subject, your site got here up. It looks good. I’ve bookmarked it in my google bookmarks to visit then. Hi there. I discovered your web site by means of Google whilst searching for a related subject, your web site came up. It appears good. I’ve bookmarked it in my google bookmarks to visit then. Hey there. I discovered your web site by way of Google while looking for a comparable subject, your website came up. It appears great. I’ve bookmarked it in my google bookmarks to visit then.